June is perceived to be one of the low points of the year for birding, although I'm not sure why. The spring migration may be over but it's a month when rare birds can pop up anywhere, especially if there is some unseasonal weather to add to the mix. Having successfully located the Greater Yellowlegs a couple of weekends ago I've been grounded by work commitments ever since. June is always a busy month for me, especially at the Daily Star. Not only do I have to put together a 16-page Epsom Derby pull-out (this Friday as it happens), but in two weeks time I'll be organising eight-page pull-outs for each day of Royal Ascot. Added to which I've another racing magazine to design by the end of the month and the Racehorse Owners Association AGM and lunch event to create branding and literature for, as well as designing an Annual Report (which I've just finished today). 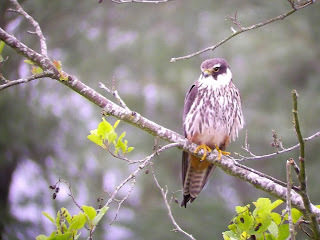 Busy times, so birding once again goes on the back burner for much of the time. 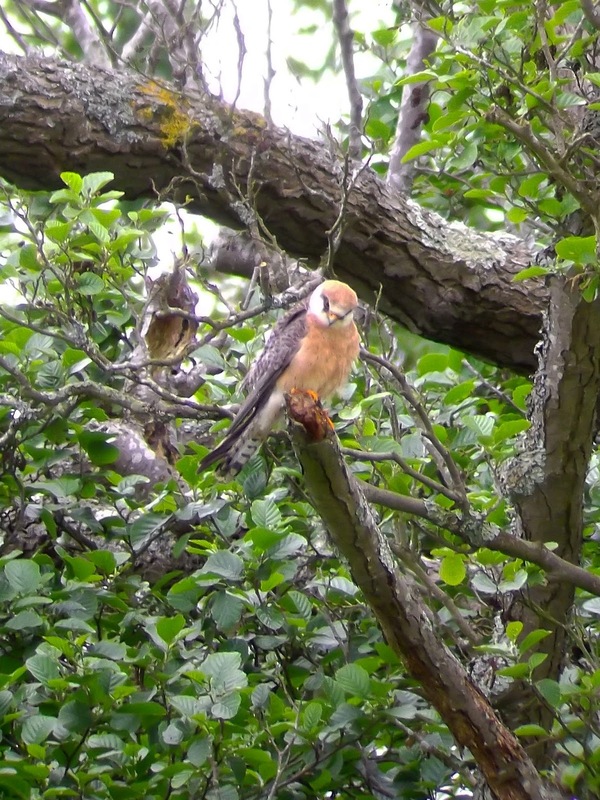 When I went for the Yellowlegs, I contemplated travelling to Dorset for the female Red-footed Falcon at Wareham. 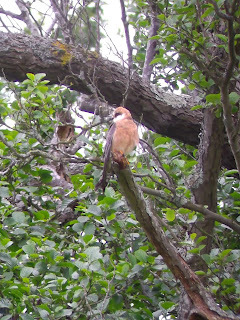 I didn't go in the end – it was just too far in the circumstances – and surmised I'd would eventually get to see one closer to home, either somewhere in Sussex or Kent. 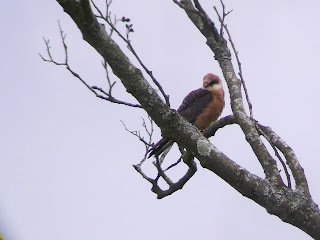 For once, my decision was the right one, as a Red-footed Falcon appeared near Barcombe Mill near Lewes over the weekend. It was still there yesterday, so I orchestrated some time to go down in the afternoon. So glad I did. 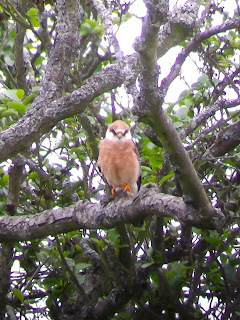 What a fantastic bird – my highlight of the year so far. The Red-footed Falcon at Barcombe Mill – what a bird! 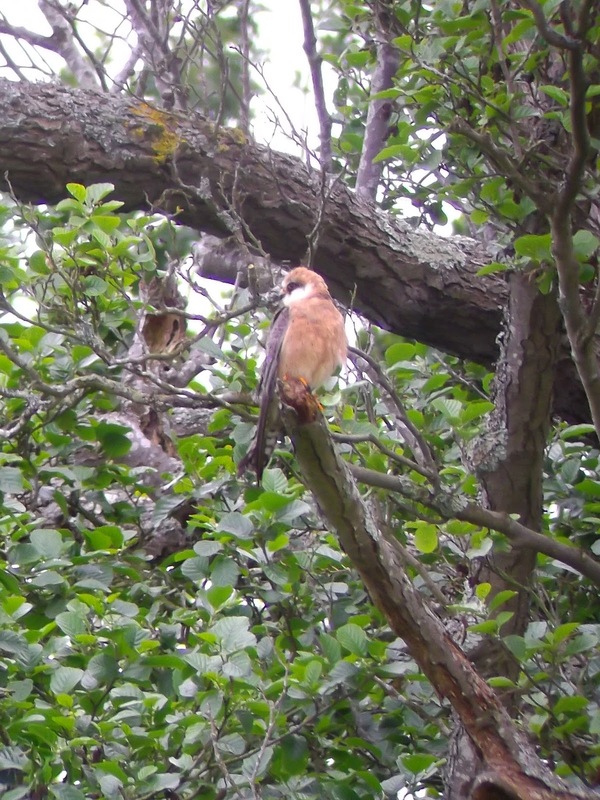 The directions were a tad misleading (you had to walk over a second wooden bridge alongside the river to the fields where the Falcon was performing) but it wasn't long before I was watching this stunning female Red-footed Falcon hunting, along with a couple of Hobby. 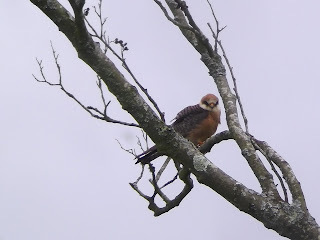 She was flying low across the adjacent field and would often swoop close by, at one point hovering momentarily just ten feet above my head. 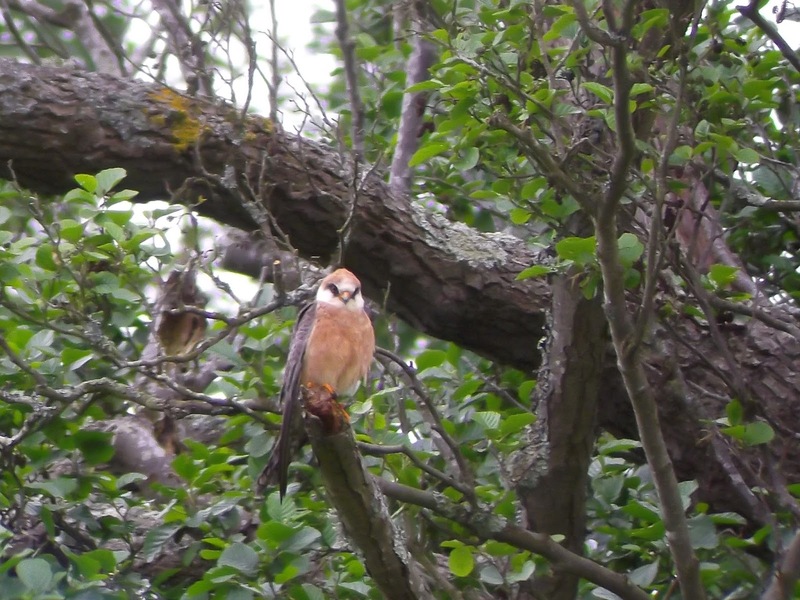 Beautiful summer plumage, with orange head and underparts, white head with black eye strip and slate grey wings, the Red-footed Falcon would perch close by, which gave me a chance to study her at length. The two Hobby were great value too, also perching just a few yards away. 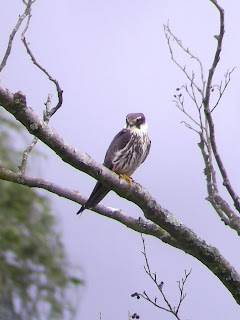 I actually managed some half-decent digiscope shots of them. I stayed for about an hour enjoying the display before heading back to the car. 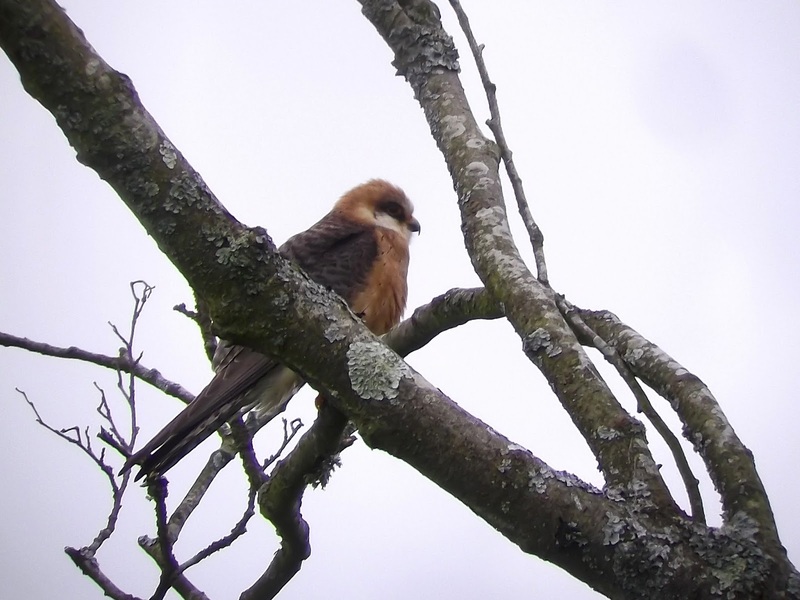 I bumped into David Campbell on the way – haven't seen him in a long time so it was good to stop for a chat. The weather today is stormy to say the least – gale force winds and rain – ideal weather, in fact, to blow in a few headline birds somewhere in the south-east. The next few days could be interesting. You're right, Steve. 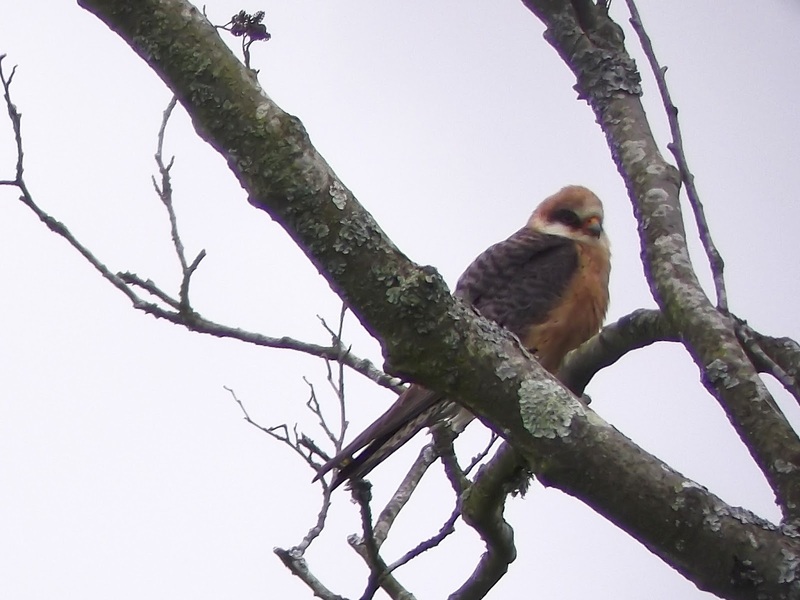 Made up somewhat for missing that patch Red-rumped Swallow. This weather could throw up a few goodies. A White-winged Black Tern within easy reach would be nice (being greedy).